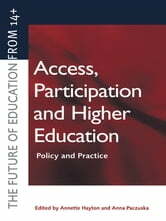 Participation - and particularly widening participation to students from less-privileged social groups and those who have traditionally not entered HE - has been a major issue since at least the early 1950s. Widening participation has been an active policy of almost all UK governments over the past 40 years, but the issue is now reaching a possible impasse, with numbers at best static and key groups still effectively excluded from higher education. This is a major political issue as well as one of the most significant issues facing educational establishments. 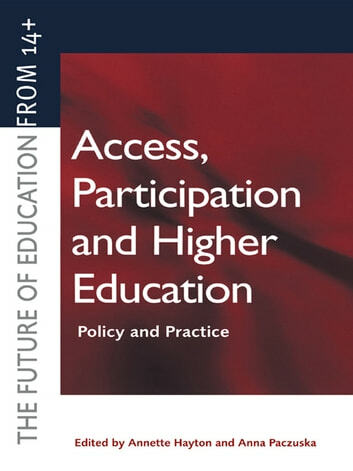 With issues such as student fees and high drop-out rates still political hot-potatoes, this book is a timely and important survey of the real issues behind participation, and non-participation, and is sure to be as controversial as it is useful. Contents is structured in two parts, looking at first the changing context of HE and secondly at issues behind how to develop strategies for widening participation. Contributors come from across the HE spectrum, from Colleges of HE to traditional universities. The End of the Professions?